The kitchen provides facilities and shelter for large functions and cooking demonstrations. The structure forms the edge of a large vegetable allotment and private garden. 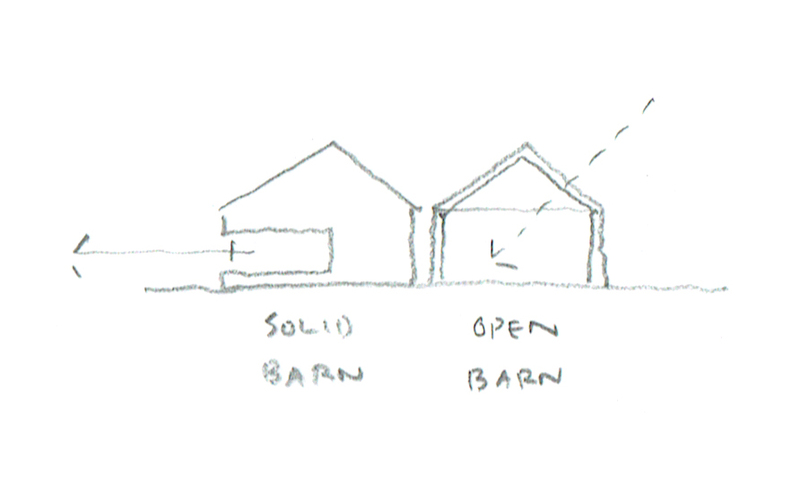 The building form echoes traditional barn forms. One side is an open shelter with reclaimed timber structure. The other side is solid with stained concrete enclosure.